BANGALORE — In one of the largest-ever lay-off drive among global technology companies, IBM is said to have started cutting jobs globally on Wednesday, with first casualties in India. Wral TechWire, a tech-related website, quoted IBM staffers in Bangalore as saying that “people broke down after seeing the inhuman treatment. Laptops along with the cases were confiscated, so several employees were seen crying and exiting building carrying and balancing their personal belongings with their two hands.” Unofficial estimates put the sacking number at around 1,000 in Bangalore alone. Poor fourth-quarter results reported last month, marked by a 26 percent slump in hardware revenue, is suspected to be the main cause of layoffs. Worldwide, IBM employs 430,000 people and reports say some 13,000 jobs are likely to be cut as the tech major performs a “global rebalancing” act, termed “resource action” or RA, that could save about $1 billion in costs. Already, at one centre in Bangalore, IBM has asked about 40 people at its Systems Technology Group (STG) to leave, one person at the company told The Economic Times (ET). STG is often referred to as IBM’s hardware division, according to the company’s website. According to the report, a person in Bangalore said on condition of anonymity that they were asked to surrender their official laptops and leave. “They were told STG business has been suffering financial woes. Employees across IBM India are extremely disgruntled. Several middle level executives have put in their papers in the last few weeks,” the person added. “STG Bangalore literally turned into a slaughter house today,” Lee Conrad, national coordinator for Alliance@IBM, a union-backed workers group to The Economic Times in an email. “Several employees were called to a meeting and RA’d… and they were asked to vacate premises immediately. Severance package was on an average three months basic component of salary, which is like six weeks full pay,” Conrad said. RA refers to ‘resource action’ that IBM’s managers at various units were asked to prepare for, ahead of the job cuts, according to media reports in the US. “People broke down after seeing the inhuman treatment. Laptops along with the cases were confiscated, so several employees were seen crying and exiting building carrying and balancing their personal belongings with their two hands,” according to the email. According to the union, job cuts in the Systems and Technology Group are happening because of a drop in profits and IBM’s drive for $20 (Rs 1,240) earnings per share. IBM has set itself this earnings target by 2015, but analysts have questioned if this is achievable, especially after the company’s latest results. Although IBM has not confirmed the layoffs sources confirmed that hundreds of IBM staffers at its Bangalore office were asked to leave suddenly. Some of them, it is said, were given just a couple of hours notice and asked to leave behind their laptops and vacate the premises pronto, said the DNA newspaper. Last month IBM had agreed to sell its low-end server business for $2.3 billion to Lenovo, which had already bought company’s PC business. At STG, “even people with very high rating were asked to leave. Two weeks ago they were told there would be no salary hikes this year,” the report added. IBM reported a 5 percent drop in revenue in the December quarter versus the year-earlier period and analysts attribute a slightly higher-than-expected earnings per share for the quarter to measures including share buybacks and not growth in business. “We are hearing up to 15,000 cuts worldwide in the first quarter. We expect job cuts in the US February 26.” Conrad said. 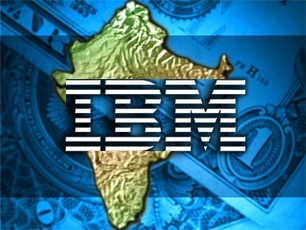 In India, IBM has a head count of over 130,000, its largest presence outside the US. Chief financial officer Martin Schroeter told analysts in a conference call last month after the company reported its fourth quarterly decline in sales that the hardware business, which sells mainframes, servers, storage and related gear, was facing difficulties and would see job cuts. Currently the talk among recruitment experts is that IBM may be targeting up to 2,000 job cuts in India though nobody is confirming this figure yet. The restructuring process, which would see as many as 15,000 jobs being cut globally, including India, Brazil, and the European region. “The estimate of jobs cut globally is 15,000,” international coordinator at the Alliance@IBM (official IBM employees union) Lee Conrad told an Indian news agency, PTI. Similar cuts are happening in Brazil, according to WRAL Techwire which reported that an IBMer reached out directly to the website after reading reports about layoffs in India. The same thing is happening in Brazil and the story needs to be told, the worker said. “So far the numbers are close to 450 this time,” the worker who asked not to be identified said. Major cuts also were made in Brazil last year as part of a work force reduction. Alliance@IBM, which is seeking to unionize North American workers, said Thursday afternoon that some 1,500 layoffs are expected in Brazil. Lee Conrad, who heads up Alliance@IBM and is a retired IBM worker, had predicted earlier this week that layoffs would start in Europe as soon as the company, unions and governments were able to strike agreements. Unlike the U.S., he said, many EU countries are very strict when allowing corporate cuts. Speculation has been that layoffs in the U.S. would begin either Feb. 19 or Feb. 26. Lenovo is in the process of buying IBM’s x86 server business, which is part of the STG group. About 2,000 IBMers in Research Triangle Park are expected to be transferred to Lenovo, which operates its executive headquarters in Morrisville. The total is around 7,500 worldwide. If IBM cuts follow a similar plan as implemented in 2013, some 13,000 layoffs across its workforce of more than 434,000 are expected. That 2013 plan led to hundreds of layoffs in North Carolina and about 3,500 across North America, based on documents and sources. IBM still employs about 9,500 people across North Carolina. Globally, other tech firms like Intel and Texas Instruments are reported to be laying off 5,000 and 1, 100 employees respectively. Even in India, there is speculation that iconic IT firms may well lay off up to 2,500 staff each during the January-March quarter. “Sacking, though a tough choice should be done when needed but sensibly and not in such a inhuman manner. We know that companies have to do it, across the world and even in the US, there were so many lay-offs during recession.,” says an IBMer on condition of anonymity. “Hundreds of us have left our cities and made Bangalore our home because we were employed by IBM here. IBM was such a well-reputed company and we were so proud to work here. There are several premises where IBM operates in and each has become a landmark in the city. Tell an auto rickshaw driver that some address is near the IBM building in say, Bannerghata or Hebbal, he takes us unerringly to the correct address. Our parents are also so shocked at this turn of events” said another young IBMer, who came from Kolkatta. Real estate business has been booming because of the IT population in Bangalore where many of them have bought apartments on housing loans. “ Banks would immediately sanction loans when we say we work for IBM. Now, the question is how are we going to pay the monthly installments without a job?” laments another IBMer who used to for work with the STG group. In India, Bangalore is a key centre for IBM with major office blocks in Manyata Embassy Business Park in Hebbal and Embassy Golf Links near Domlur and Bannerghata which are sprawling campuses employing thousands of engineers. “To that end, IBM is positioning itself to lead in areas such as Cloud, Analytics and Cognitive Computing and investing in these priority areas. For example, we have recently committed $1 billion to our new Watson unit and $1.2 billion to expand our Cloud footprint around the world,” the spokesperson further said.